Make your New Zealand gap year the best it can be! You might think that by simply arriving in a country on the other side of the world, everything is going to change for you – everything will fall into place and you’ll be happy. Well, there’s still a little bit of work to be done on your part to really make the most of a gap year in New Zealand! Your attitude and you way of thinking might make all the difference. A gap year is a time to learn about yourself. It’s a time to grow and gain some real life skills. Without following the tips we’ve listed so kindly for you below, chances are, you’ll leave New Zealand with regrets. Don’t be that guy! So find out below how you can really thrive off a gap year in New Zealand and make it the best year of your life! Coming to a new country where you know absolutely no one is a bit scary to say the least. Hitting the road and doing a few activities when you first arrive in New Zealand is a good way to relieve the stress, start meeting new people, and start getting to know how things work in New Zealand. Travelling also allows you to scout which areas you would like to stick around for longer so that you will find yourself working in a location you love. So arrive in New Zealand with a bit of cash behind you so that you can afford to travel for a month or two without having to work as soon as you land. 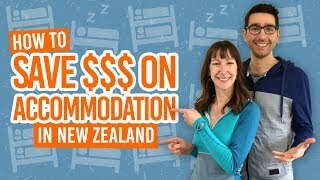 More information on that can be found in What is the Cost of a Working Holiday in New Zealand? Meeting people is a fundamental part of a gap year in New Zealand. New Zealand is a multi-cultural company. People from all over the world come to live, work and travel here. While staying in hostels, travelling on backpacker buses, and doing activities allows you to meet like-minded people like you from all over the world, working and WWOOFing allows you to spend more time with locals. Being social will open up so many opportunities for you from work to future travel to just the awesome feeling of making life-long friends. No doubt you have come to New Zealand for change – to experience something new. Benefiting from such a reward doesn’t come without stepping out of you comfort zone. Keep an open mind when searching for jobs, do an activity every now and then that you would have never considered doing, live in a place you would never have thought you would live, etc. This is the best way to learn about yourself and get truly rich experiences. Avoid peak-season prices and the fully-booked accommodations of the summer season by working. In many cases, summer presents a lot more seasonal work in hospitality and tourism, while the end of summer is presents more horticulture jobs. The quieter shoulder and off-seasons allow you to travel more spontaneously. More on that in the next point! 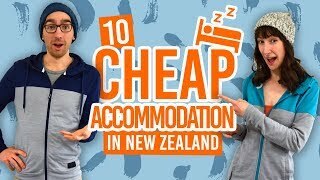 Flexibility is a good skill to have and a gap year in New Zealand is a great place to nurture that skill providing heaps of opportunities to be spontaneous. If someone wants you to join them travelling, go for it! If you’re offered a random job, take it! Feel like going on a hike or bungy jumping off a perfectly good bridge, then do it! Who knows where it will lead you? It’s normal to be uncertain about things. Should I apply for this job? Should I join this hop-on hop-off bus? Should I travel with this group of people I have only just met? Well, if you don’t take chances then “chances” are you won’t get anywhere and feel like you’ve wasted a gap year in New Zealand. Take chances and say yes! Remember this is likely to be the only time you get to spend in New Zealand (do you really want to do that flight again?). When it comes to “umming and ahhing” about whether to do a skydive/bungy jump/scuba dive or whatever, just do it! If it’s something you really want to do, something you have been dreaming about since you decided to come to New Zealand, then do what you came here to do. You will always make that money back, but you can’t get rid of living with regrets! All deep quotes aside, what we are trying to say is just remember to have fun. The great thing about backpacking is that you can afford to have fun when you save money on food, transport and accommodation. Check out how to save money on food here, on transport here, and on accommodation here. The South Pacific is pretty far from pretty much anywhere, yet the culture, landscape and awesome experiences are something you just can’t miss! Take the opportunity to visit other countries and islands in Oceania to really make the most of your time Down Under. How about Fiji, Samoa, New Caledonia, The Cook Islands, Tonga, Vanuatu and finally, Australia? What? You thought a gap year was killing any career prospects?! Think again. Taking a gap year is all about getting some “life experience” and with that a whole new bunch of skills to add to your CV or resume. In fact, we wrote a whole articles on How to Use a Gap Year as Valuable Experience on Your CV / Resume. You might see this as a form of shameless shelf-promotion, but honestly, we made this website for you guys. Use it! BackpackerGuide.NZ is full of information to help you live, work and have some awesome experiences in New Zealand. We’ll always be in your phone or laptop if you need us. Take a look at 30 Tips for Backpacking in New Zealand for more travel tips from us!